t’s official! Today is the first day of my favorite time of year—the first day of fall. There are so many reasons why I adore fall. From the turning of colors from embolden greens, marvelously loud and brilliant oranges, bright yellows, rich purples, and delicious browns to the smells of the air becoming chilled and crisp, remind me of change and with it, something new and wondrous waiting to be discovered. 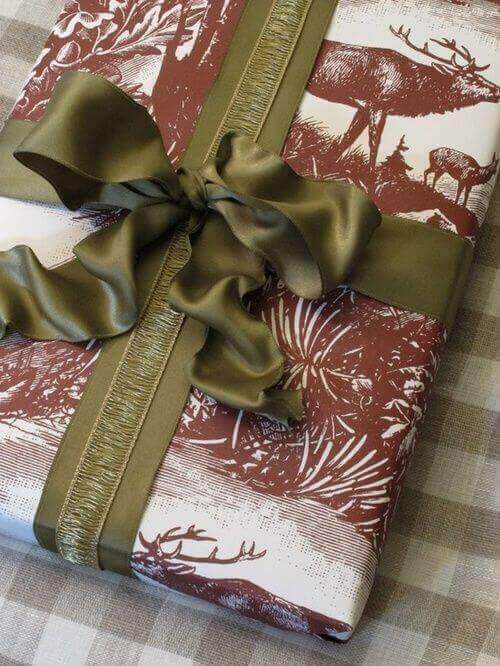 It’s also a season where I find some of my best inspiration for finding and creating client gift wrap. Since there is a wealth of items literally falling from above, I find it easy to take and use these items as part of my gift wrap design. 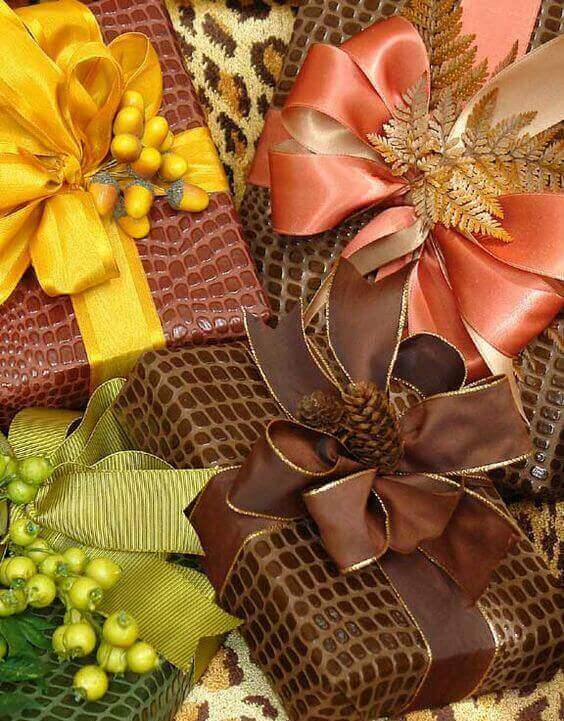 Here are a few pics to help provide you with some fall-inspired gift wrap ideas. 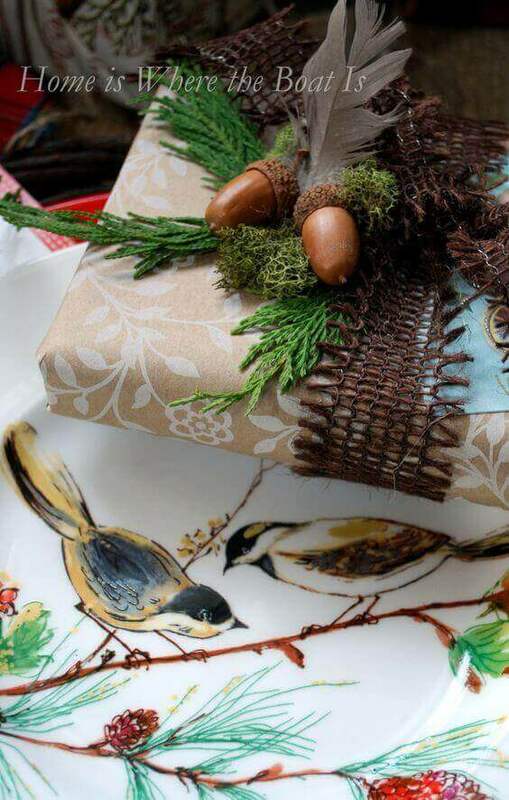 For a quick and easy fall adornment, use leaves and/or twigs gathered from outside as a decorative accent on your gift. 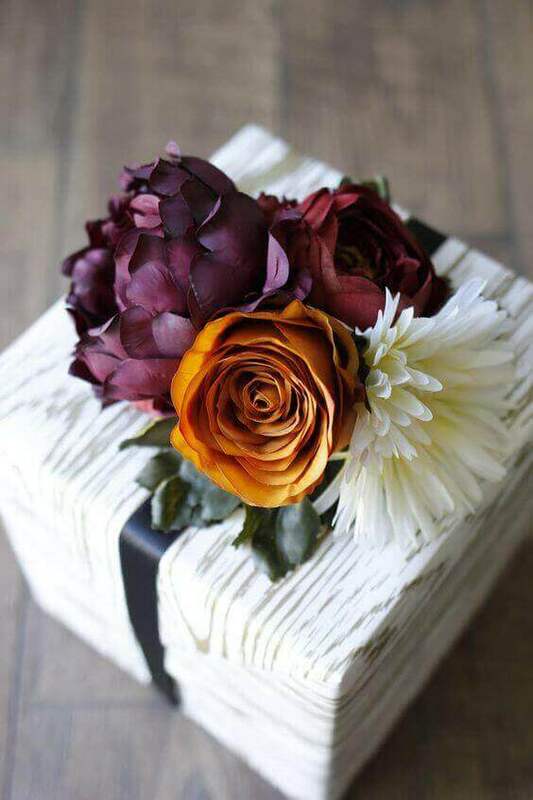 Just create an arrangement you love and place them on your finished gift. 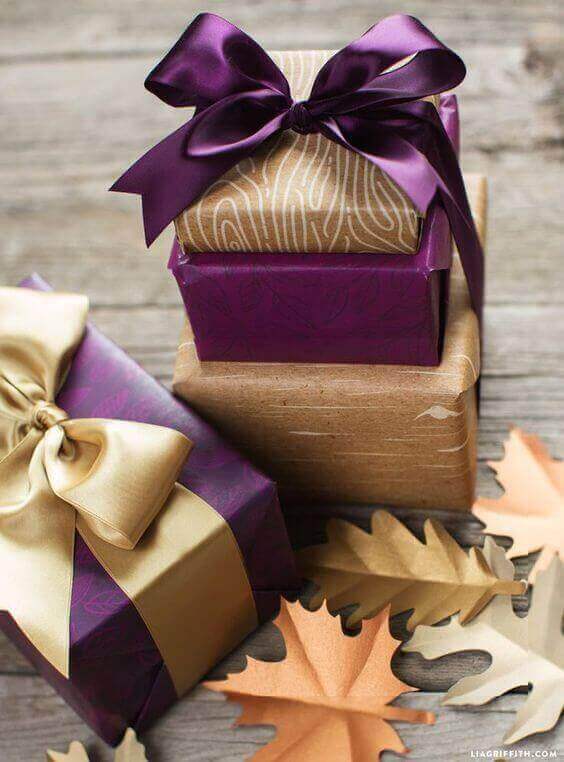 Then once you’re happy with the placement, take each leaf or twig and with a hot glue gun, glue each into position around the gift wrap’s bow. 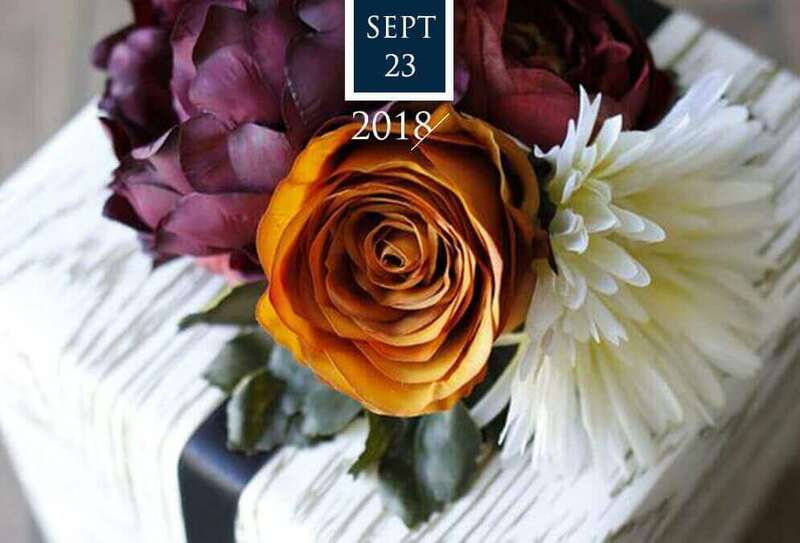 Blog Pics by via my Autumn Gift Wrap Pinterest Board | Each photo belongs to their perspective owners. I do not own any of the lovely photos here, unless otherwise stated.